As the technology industry continues to grow and flourish, new companies and startups are sprouting, and old companies are finding new ways of reviving themselves But as we head into the new year, some companies won’t make it through the winter months, while others will find new and innovative ways to thrive and blossom. 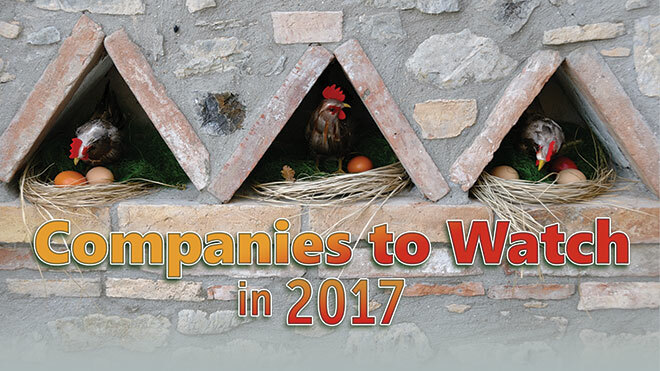 SD Times is once again presenting its annual Companies to Watch list for 2017. Some of these companies have already been around for years, but they are looking for new ways to pique users’ interest in this digital world. Others are startups that will have to find ways to take root in an already competitive market. Nevertheless, these are the companies we expect will rise next year and think you should be watching. Are you watching these companies? Have we missed any, in your opinion? 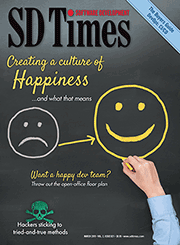 Let us know in the comments or write us at feedback@sdtimes.com. WHY WE’RE WATCHING: While the Nintendo/Google company has been around since 2010, its recent release of Pokémon Go has us keeping an eye on them. Pokémon Go changed the idea of mobile apps, bringing augmented reality to your fingertips. It will be interesting to see how the company plans to keep the momentum through new features and new games. WHY WE’RE WATCHING: Cisco made its first entry into the container space in August when it acquired container startup ContainerX. ContainerX launched with a mission to bring containers outside of development tools and inside the next generation of data centers. Recently, ContainerX released a multi-tenant container platform offering a single view of an enterprise’s containers. The company will become a part of Cisco’s Cloud Platform and Services Group, and together they will work to develop a comprehensive cloud-native stack. It will be interesting how Cisco tries to tackle an already Docker dominated space with ContainerX in its arsenal. WHY WE’RE WATCHING: Teal Drones aims to develop multipurpose drones. What is really interesting about this company is it was founded and launched by 18-year-old George Matus, and is backed by billionaire PayPal cofounder Peter Thiel’s fellowship program. WHY WE’RE WATCHING: Pat Inc. announced a private beta and US$2.5 million in seed funding in July, and it is developing artificial intelligence technology that applies a NLU approach to machine reading and speech comprehension. It recently launched an API wait list, and Pat AI is expecting more funding in the next few months. WHY WE’RE WATCHING: While there are other companies (like HackerOne) that partner with enterprises so they can create bug bounty programs, Bugcrowd works with more than 32,000 security researchers to provide disclosure and managed service options that allow companies to commission customized security testing programs. 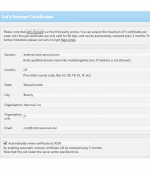 FCA US was just added to Bugcrowd’s list of organizations, and since connected devices and cars are becoming a huge part of consumers’ lives, more companies are reaching out to these security solution companies. WHY WE’RE WATCHING: Node.js usage is on the rise, and the use of NPM is also growing. Behind that package manager is a small startup in Oakland. While they’ve made a bit of a name for themselves within their own community thanks to the mingling of legal worries and 18-line packages, the vast majority of the development world has yet to learn about NPM. That bodes well for enterprises, which should start seeing more offerings from this plucky startup in 2017. WHY WE’RE WATCHING: This startup has been building interesting technologies along the way, such as Cap’n Proto, the would-be heir apparent to Google’s Protocol Buffers. As a result, the platform they’ve produced is highly adaptable and could be an intriguing way for enterprises to construct their own management tools built on third-party APIs and services. WHY WE’RE WATCHING: While GitHub and Atlassian duke it out over SCM dominance, GitLab quietly continues to gain market share and offer enterprise features other services just can’t match. The “other” Git company, GitLab has the ability to handle massive amounts of users in a single repository, robust issue management, and code review capabilities. WHY WE’RE WATCHING: Originally a place where code could be pasted into a browser so the results could be quickly seen, Runnable pivoted last year to make its services more directly available to developers. This has manifested in the form of an on-demand staging environment service that integrates with a developer’s SCM. With a single click, developers can have access to their application running in a container on Amazon Web Services. Runnable says they want to deconstruct the developer pipeline, and that’s exactly why we’re watching. WHY WE’RE WATCHING: In the battle to see what OpenStack will become, Platform9 has the cutting-edge managed hosting side covered. As OpenStack development has been widely discussed for years now, Platform9’s approach of coupling it with Kubernetes may just show the way forward. WHY WE’RE WATCHING: By automating the build, test and deploy cycle, CircleCI enables developers to fix bugs more quickly. The platform, which can be used for web or mobile app development, helps developers. WHY WE’RE WATCHING: It’s an open-source web server with load balancing, persistence, caching, security, and monitoring that provides an all-in-one platform for high-traffic volume sites, widely used and growing. WHY WE’RE WATCHING: Flybits collects and unifies customer data from multiple sources into its experience-management cloud service. In short, it provides context awareness that helps companies maximize their ROI from their mobile applications. WHY WE’RE WATCHING: Fuzzy.ai can be used to create agents that can be given rules about how to make decisions based on your business and domain knowledge. Once the agent is created, you can send it data from the application, and it will send back answers that the app can use in its interactions with end users. WHY WE’RE WATCHING: Content within applications is not publicly accessible as it is on the Internet. Deep linking is a way to take mobile app users to the content they want from within an application and share it, just like the web. Branch Metrics’ platform offers deferred deep links (depending on if the app is installed or not) and contextual deep links, which can store information. WHY WE’RE WATCHING: Big Panda’s platform allows IT to quickly detect and resolve issues to minimize downtime by consolidating alerts from all of an organization’s monitoring systems. This integration reduced the noise of alerts, and the platform uses contextual information to ensure the high-level incidents come to the fore quickly.